We decided to test out the SD cards in the market to find the best ones available. As with any of our research, we try to find the products that are universally appealing to many different needs. We wanted the SD cards that could be used to store photographs of the family, and could work easily as well with High-Definition 3D videos for professionals. We looked at the options in the market and came up with the ones that are the most reliable, are high-speed and are able to protect data. Here is our list of the top 3 and our special bonus pick optimal for those looking for budget performance. We looked at all of the SD cards in the market and decided that the best one is the SanDisk Extreme Pro 512GB UHS-I-U3 flash memory card. If you need a memory card, you need a reliable one. Most people who need them are storing important data, pictures or video. It could be for home use, professional use or business use. Either way, likely the data are critical to some specific purpose. Because of its importance, it’s essential to have a quality memory card that can securely hold and transfer data. With the SanDisk Extreme Pro you get reliable data storage and its transfer speeds are great. What we liked best about this SD card is that it uses technology that formerly was only used in the professional line of cards. By making this available to the consumer market, it gives people a higher level of quality. With SD cards, this is always good. We liked the advance technology and can easily see this used as a main SD card for photographers, videographers or business workers with highly sensitive data. The speed on the SanDisk Extreme Pro is what really performed well for us. If you are storing data files in Word or Excel, this may not be a big deal for you, however if your data are video or photographs, you need fast data transfer. This flash memory card will let you take fast-action video that is in full HD mode. That includes any 3D you need. 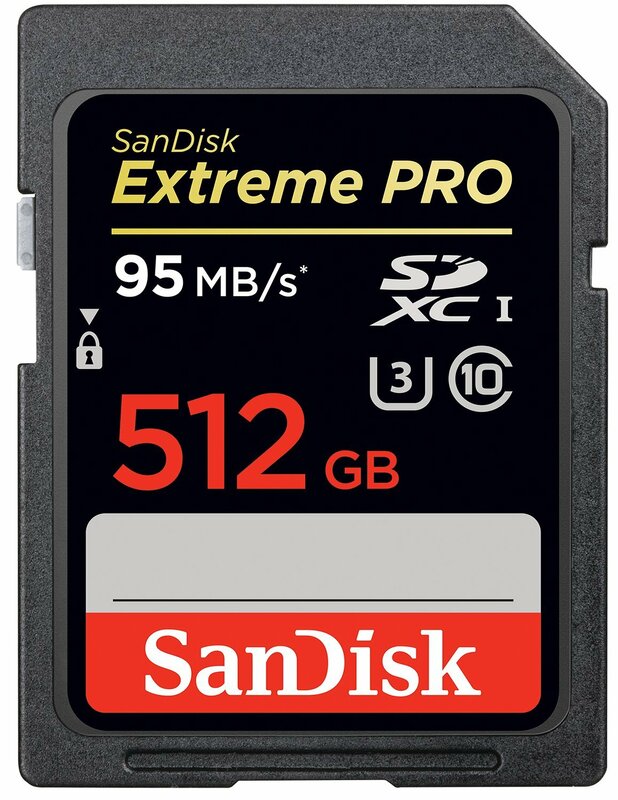 This is an outstanding benefit that helped to make the SanDisk Extreme Pro our number one pick. It also has a Power Core Controller, which means that it can deliver data back to you by distributing data using the card more efficiently and quickly. When we were retrieving data, we loved the fact that this SD card had no holdups or hesitations. It retrieved whatever was on it reliably. That reliability regardless of what data was being stored was what stood out also to us. The SanDisk Extreme pro also uses its Power Core Controller firmware to increase wear. When reading or writing data, the advanced technology of the SC card improves both data integrity and data reliability. SanDisk itself is known to be a company that strives to enrich lives through reliable digital storage. They definitely lived up to that motto with the SanDisk Extreme Pro. On top of its reliability, this SD card also was engineered to work in harsh conditions. It is shock-proof, X-ray proof, water proof and heatproof. There is a built-in that prevents any accidental loss of data and it’s able to capture 4K high-definition video. Its speed is up to 90MB/s of data for capture and up to 95MB/s of data for transfer. Overall this is definitely the best SD card we tested. Not only does it work outstandingly well for data write and transfer, but it’s built with enough durability to protect anything on it. We can see this becoming an invaluable tool for photographers who shoot on-site in rain, snow or high-heat areas. Or videographers who have to do the same. It’s flexible enough though that anyone who just wants dependable and fast SD performance will love it. For your next SD need, test out the SanDisk Extreme Pro. We’re sure you’ll be happy with its outstanding and consistent performance. During out research phase we quickly scouted out the number one SD card and moved onto the silver second place spot. For this one, we chose the Lexar Professional 2000X 12GB SDXC UHS-II/U3. This is another high-performing SD card that can safely hold both professional and personal data. As the second place winner, it is a dependable high-performance SD card. The speed needed for data transfer was a primary concern for us with our SD studies. We wanted the cards that could manage a lot of data quickly—both read and write. The Lexar Professional 2000X stood up to the amount of data we put on it. We tested out normal business data on zip files, video in HD and picture data. We wanted to be sure that everyone who needed storage could easily and efficiently use this card. Again- Word files, Excel files and Power Point files likely won’t be a challenge to any SD card but when you move to bulkier data like pictures and video, this can be an issue. The high priority today is data transfer and storage. If you look at the number of SD cards in the market, you can see how many players are trying to find their spot. Unfortunately, a lot of them just didn’t hold up to our testing phase. The Lexar Professional 2000X did though. We put various kinds of data on it and then timed how long it took to retrieve it. Time and time again, this SD card was able to stand up to our rigors. It very quickly earned its rating at the silver spot on our list. It has a 300MB/s transfer speed. 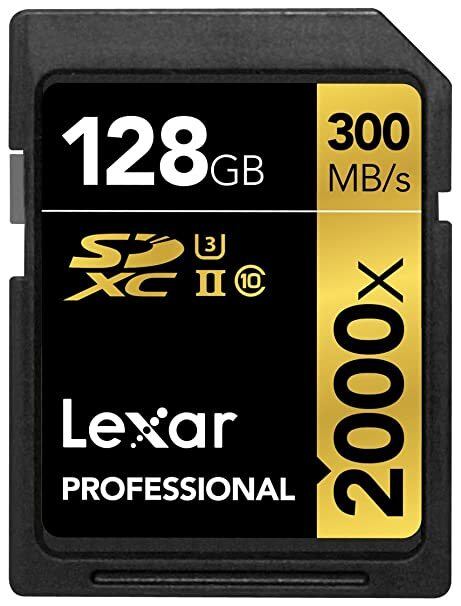 The Lexar Professional 2000X uses high-speed UHS-II technology for reading transfer and reaches speeds of up to 300MBs/. It also includes an SD UHI-II reader that provides extra high-speed transfer of files from the card to the laptop or computer you are working on. This allows data retrieval to be faster than ever and gives you more time to work on the data as you see fit. We tested the SD card out also with video files. It has the ability to capture high-quality image data and 1080p full-HD capability. It also had 4K video with an HD camcorder, DSLR camera or a 3D camera. We liked the fact that this SD card worked well with a variety of different machines—whether camera, camcorder or simple file-transfer from a laptop, it was able to perform. It is also backwards compatible with a UHS-I device. We picked the Lexar Professional 2000X as our second spot winner because of its ability to store data, but also because of its special Rescue software. Any data put on a memory card is likely critical to the task at hand. If it is lost or corrupted, this can create a huge strain on the budget, not to mention waste time. The Lexar Professional 2000X uses rescue technology to give users the ability to recover data easily and quickly. This was a safeguard we appreciated and can see it playing an important role in its user’s life. Just imagine returning to the office only to realize data was corrupted. The Lexar Professional 2000X wards that off with technology that works. We are very pleased with the Lexar Professional 2000X as our second pick. It worked well for us in a variety of different settings. It was reliable, durable and fast. We can see it easily improving data storage and transfer to a wide variety of people—professional and casual users. Our bronze pick for best SD card is the Transcend 256 GB High Speed 10 UHS-3 flash memory card. Reliability and dependability with critical data was paramount with our testing. We put each of the SD cards we looked at to the test on a lot of different levels. We used them in a variety of different settings –high-heat, high-precipitation, low-temps, etc. Though we were hard on our SD cards, the Transcend 256 GB definitely stood out. The Transcend 256 GB memory card offers up to 95/60 MB/s speed. It has a guaranteed 30MB/s write speed for video. We loved this feature because it is specifically reliable for videographers – professional and casual. It also supports ultra-high-speed Class 3 specification. Any HD camcorder or video product will work beautifully with this SD card. We were imagining professional videographers looking for a storage device that could keep up with their needs. Not only are videos produced indoors, but some are captured outdoors – in the rain, snow, heat, etc. We wanted to note the products that were able to stand up to all of the elements and still perform reliably. In particular we liked the Transcend 256 GB card for its durability. One thing we also looked for with SD cards is the ability to correct errors and still protect data. There is a lot of room for error with data capture, storage and retrieval. You never want your SD card to fail you, but there are times when things just happen. We wanted to champion the manufacturers who took this into account and did all they can to still make data retrievable. Transcend did just that with this SD. It has a built-in error correcting code that will detect and fix errors with transfer to devices and from devices. This was a feature that we noted and gave a lot of weight to in our assessments. The Transcend 256 GB has full HD, 3D and 4K video compatibility and high recording performance. It can relay information smoothly and professionally. It also supports Class 3- ultra-high speeds. As we were testing our SD cards, we demanded that they were able to keep up with any device. The devices we used were varied from low-performance machines to high-performance ones. We put a 3D video on all of the SD cards to see how well they were able to store, and then deliver the data back. The Transcend 256 GB took our movie and easily sent it to whatever device we needed, quickly and smoothly. Another thing that we demanded with SD assessments was the ability for the SD card to help with any errors. Again- we understand the critical nature of some of the data that ends up on these cards. Without reliability and error-free relay, there may be an enormous issue. The Transcend 256 GB has a built-in error correction code that will automatically detect and immediately correct any errors. This is a fantastic safeguard with any SD card and allows for dependable use. On top of the normal ECC (error correction code) it has RecoverRx software. This is a special software built-into the SD card that works with photos to be sure that their recovery is smooth. If anything does happen, Transcend went through a lot of work to make sure that data is still retrievable. We appreciated the effort and when testing it out, we were very pleased. 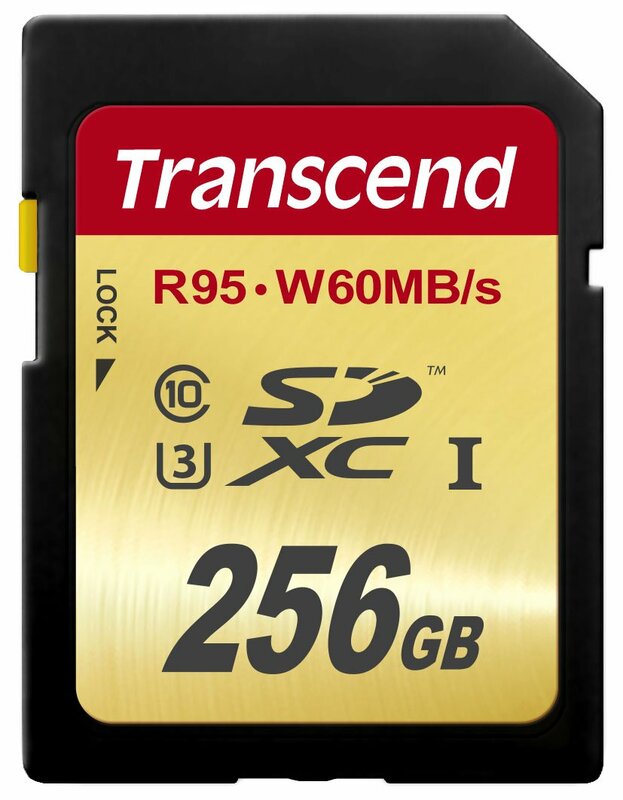 If you are looking for an SD card, consider the Transcend 256 GB. Not only did it stand up well to our rigorous testing, but it has enough additional safety features to protect your data. It also is compatible with a wide variety of devices, which means you likely won’t have to buy anything other than this type of card to manage your sensitive data. When we pick the best products, we also look for the one product that despite not making our top 3, still had a lot to offer. We give one product a nod if we see it still being a reliable contender without the same bells and whistles. 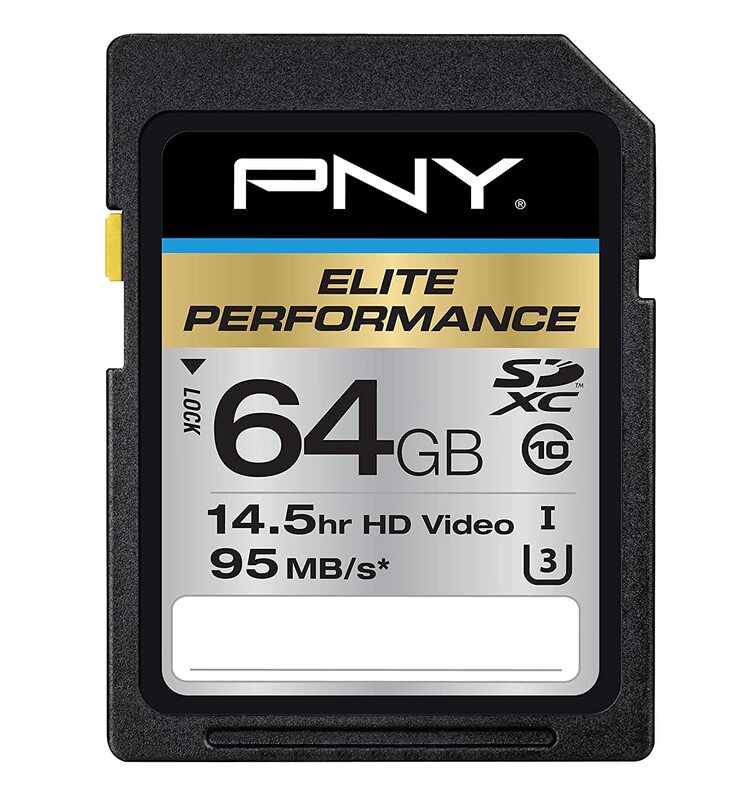 For our study of SD cards, we came up with the PNY Elite Performance 64 GB High Speed SDXC Class 10 UHS-I as our bonus pick. The PNY Elite offers the same high-speed performance as our top three picks. This one is able to work up to 95 MB/s for great file transfer capability. It’s especially useful with DSLR cameras or HD camcorders. What we liked about this one was that it not only worked for small amounts of data, but worked equally as well for the maximum amount. When we tested our SD cards, we put them to task by loading them with as much data as their manufacturers stated they could handle. The PNY Elite was able to manage over 22,000 photographs. When we went to download them, it easily held and then transfer that data to a laptop and a desktop. Happily, it did both very well, which is one of the main reasons it ended up as our budget pick. We did the same testing we did with our other SD cards and used it in varying weather conditions. We wanted it to hold up in rain, snow and high-heat. Thankfully, the PNY Elite was just as reliable in any setting. It is waterproof and we thought that was important for our readers who are casual or professional photographers or videographers. We wanted them to be able to easily use this device anywhere. The PNY Elite is compatible with SDXC and SDHC devices, so universal appeal is high. When studying our products, we also wanted to make sure each one was usable by a wide variety of our readers. It can be used with advanced DSLR cameras and HD/3D camcorders. Although it doesn’t have the amount of features some of our other SD winners did, the PNY Elite is still a reliable and universal data card. If you want a smaller card that still offers the speed and dependability you need for just about any task, consider this one. You won’t be disappointed. During our research we always think about what would bring the most value to our readers. What about Product A would be most useful? What about Product A would be the best deal? When it comes to SD cards, we decided that universal appeal to a wide variety of people would be best. We wanted the grandma who needed an SD card to store her grandkid’s pictures to be happy. We also wanted the professional who needed an SD card to store his Power Point presentation to be happy. On top of that, we also looked at the ability of each SD card. Would it hold up in speedy delivery of information? Would it be able to transfer data to a variety of devices? We wanted it to be compatible with most of the devices in the market, at least the ones that are most commonly used. We also looked at the settings it would be used in. Sure a nice cool office is easy for an SD card to work in, but what if it’s outside? What if a photographer is shooting a lovely Christmas scene and the SD card has to hold up just as reliably? We wanted to be sure that our top picks could handle any setting they were needed in. We did a lot of thinking with this product type. We tested each card rigorously. Here are details on how we broke down each of our pre-purchase considerations. When looking at SD cards we looked at the various people who would be using the cards. We want to recommend products that will perform outstandingly well for their intended users. We thought first of the casual user—the person who wants their photographs to be safely transferred to whatever device they need, or for long-term storage on the SD itself. No- their data isn’t critical to their job or duties, but their photos are still cherished and prized possessions. Our SD top choices had to be reliable and able to hold important photos for the long-term. We then thought of professionals and all of their data management needs. We wanted SD cards able to store business data in the form of Word docs, Excel files, Power Point presentations, etc. It had to allow for this information to be stored, and also retrieved quickly. We created a wide range of dummy files that were loaded to the SDs and then retrieved from various devices. We wanted reliability and quick retrieval every time. We then went to the professional videographers and photographers who need their videos stored. A videographer or photographer may have to work in inclement weather. That means the SD may be recording in high heat for an outdoor beach shoot. It also may be used in lower temperatures for a winter shoot. It also may have to stand up to the videographer’s rain days. Either way, professionals who need their data held and transferred were our main consideration. All of our SD cards were useful tools and we believe will serve their users well. We also looked at the write and read speed of each of the SD cards we looked at. Again- for smaller amounts of data this isn’t as big a task, but for high-quality video, this is important. We made sure to put large amounts of information on each of our contenders to see how well they managed it. A few of our contenders were great at recording, but during relay back they showed some hesitation or some glitches. We quickly eliminated them. We had other SD cards that were unable to manage large data without some notable errors. We also got rid of these. Our goal was to find the SD cards that allowed for quick delivery of all information time and time again to any device we connected it to. Not only did we demand speedy transfer, but we wanted it error-free. All of our winners were able to provide just that. And they included an ECC, or error correcting code, feature to ensure that any errors would be taken care of automatically. This was a great feature we really liked because we want our recommended products to make all of our reader’s lives easier. Having a built-in ECC is one of the best tools we found in the market of SD cards and we demanded it for all of our picks. We also looked at the amount of storage. We did pick varying storage sizes though, but we weren’t comparing them in this instance. Rather, we wanted the storage devices that truly offered the amount of space they advertised. We noticed early on that some of the lesser-quality SD cards stated they offered a specific storage space, but it was used up very quickly. It seemed like there was some discrepancy between advertised storage and actual storage. These were eliminated from our competition. We wanted only the storage devices that provided what they stated they would. We want all users to know exactly how much space they are getting with each card so they can estimate their storage needs efficiently. Nothing is worse than thinking you have space for your entire photo album and then realizing that you need an additional SD storage device to truly manage your pictures. The same goes for professional use. Imagine bringing an HD card that claims it can handle your needs, but getting onsite and realizing, it can’t. When we do our research, we hold manufacturers up to a high standard. Delivering what they say they deliver is a key component of assessing reliability. We wanted our SD cards to work well with any data: Word files, Excel, PowerPoint, data base management, videos, photos, etc. It wasn’t enough for an SD to work with one file only. Again- we want to recommend products that make our readers’ lives easy. They can rely on us to give them the cold hard facts and promote the best of the best products. That means that they should never have to sort through products themselves. We decided early on that any SD card we herald has to be able to manage all data. We began with large Word and Excel files. We put each SD card to the test with the maximum amount manufacturers said it would hold. Next, we moved on to data bases. We allowed only the SD cards that managed all of this data quickly and dependably every time, to move forward. Next, we put photos on the SD cards. Not a few photos, but as many as the SD cards could manage. We transferred the data back and forth from device to device to be sure that the information was still there and being delivered at a high quality. Finally, we put our SDs to the test with HD videos—both normal and 3D. We wanted to see how well our videos were transferred. We noted the speed of transfer and retrieval. We also noted the resulting videos. Were they seamless? Were they high-quality? Were they presentable to anyone who needed to see them on a different device? After assessing the SDs we had, we accepted only the cards that were great at all types of data for all types of people. In the end, we believe we found the best SD cards in the market. We did our research to find only the most reliable and durable products that truly would bring value to our readers. We are confident in these. If you need an SD card, test these out. Likely you will be more than satisfied with any one that made it to our list.